Another tablet hit in the Indian Market and this time Karbonn Mobiles is releasing Karbonn Cosmic Smart Tab 10 for Rs. 10,280. Karbonn Cosmic Smart Tab 10 is powered by 1.5 GHz Dual-Core Processor, 9.7-inch Display, 1 GB RAM, 2 MP rear camera & VGA camera front camera. The Tab is running on Android 4.1 Jelly Bean. The Cosmic Smart Tab 10 supports 1080p HD video playback and in connectivity segments it supports Wi-Fi, Bluetooth, HDMI & 3G (Through USB Dongle). The Tablet is preloaded with some cool apps such as Google Currents, Angry Birds Season, Flipboard, Kingsoft Office, TOI, Just Dial, PayTM & Facebook. The Tablet support MicroSD card up to 32 GB and loaded with 6000 mAh Battery. 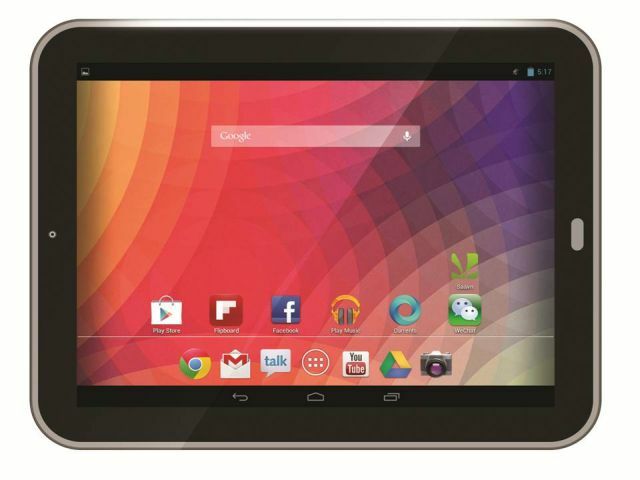 Karbonn Cosmic Smart Tab 10 Price in India: Rs. 10,280/- and you can purchase the tablet from Saholic.